Social media appears to be the ideal platform for employers to harness employees’ voices, but many organisations are hesitant about using its power. 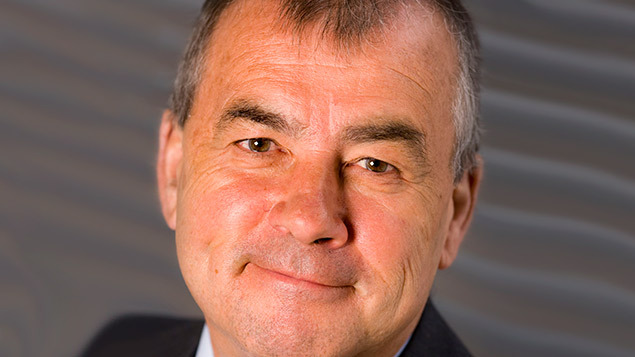 As Acas launches a research paper on this very issue, its chair, Sir Brendan Barber, looks at what holding employers back. The link between employee voice and innovation seems pretty intuitive: if you want to improve the way things are done, ask the people who do it. Social media platforms – those that allow for user-generated content, interaction and collaboration – would appear to provide the perfect opportunity for innovation and involving staff more in the future of their workplace. New research commissioned by Acas shows that concerns associated with employee misuse of personal social media channels at work, such as Twitter and Facebook, may be hampering the use of organisational platforms. And where employers are embracing new technology to engage staff, they are often doing so in a rather corporate way, using the platforms as a means of imparting information, rather than involving staff in real dialogue. I am loathe to introduce any unwanted stereotypes into a discussion about the use of social media but many people of my generation were introduced to technology via work: I certainly used a computer for the first time at the office. But the tables seem to have been turned, with use of social media at work seemingly playing catch up with its use in the private sphere. Statistics from the CIPD back this sense of polarisation, with three out of four people using social media at home, but only one in four doing so at work. This is compounded by the fact that employers are tending to use social media platforms to reach out to customers and sell the brand (instead of, rather than as well as, using it to talk to their employees). So what is really behind the reluctance to fully exploit the new technology? It may be partly about a desire on the part of senior managers to set and shape the agenda at work, and a fear that online conversations may get out of hand. There is also the real issue that, having asked for opinions and views, you have to do something with them. That’s often the hard part. There have been similar concerns expressed about more traditional forms of voice – with consultative committees, for example, sometimes accused of never coming to decisions or, worse, just talking about “tea and toilets”. Our new report, carried out by the Involvement and Participation Association, makes it clear that too many employers are using modern “bottom-up” interactive communication tools in traditional “top-down” ways, with an emphasis on a one-way information flow. But, in an interesting twist, the report also points out that employee voice and involvement – the “multi-directional conversation” that the CIPD has spoken about – will not necessarily happen organically on its own. Bottom-up often needs a helping hand from senior leaders to fan the flames. In one case study in the report, at Lloyds Register, managers deliberately used “provocations” to help stimulate the debate, get employees working collaboratively to solve problems and encourage them to come up with better ways of working. Our report takes a snapshot of where we are now with social media platforms and offers some useful tips for employers thinking of investing in these tools. But it also raises some questions about what we mean by employee voice and how the way technology is used may well shape our interpretation of voice in the future. A lot has already been said about a worrying trend towards a “shallowing” of the employee voice. The last Workplace Employment Relations Study picked up on one finding that is perhaps symptomatic of this trend, with managers increasingly favouring direct forms of communication, as shown by a marked rise in the use of emails. As a riposte to this, one of the organisations profiled in our report, Oxfam, are hoping that their social media platforms will help to reduce the number of emails sent by staff. Much is made of the way that social media platforms can, potentially, tap into what James Surowiecki coined the “wisdom of the crowds”. But how are the crowds reacting to the invitation to make their way into the “gated communities” described by the CIPD? In theory, these social networking platforms provide safe places for open discussions, but our findings show that although safe is good, it can sometimes also mean “sterile”. Dean Royles, director of HR and OD at Leeds Teaching Hospital NHS Trust, has suggested that there is a “conservatism” in the use of social media on the part of many employers, which stems from an anxiety that “it could all go wrong”. Along with many companies, Acas has been very preoccupied with the UK productivity puzzle in recent months and why we are so far behind many of our competitors. Our focus is very much on offering a micro solution – through focusing on things like job design, fairness and voice – but one of the macro issues that is often put forward to explain the puzzle is that of an “innovation lag”. The idea is that technological advances, in things like phones and computers etc, happen spasmodically and we are simply waiting for the next spasm. However, our research shows that for many workplaces the technology is often there, it is just not being embraced. Make sure your technology is up to scratch. Some of the organisations in our report found they needed to upgrade. Have a social media policy. If nothing else, they act as good safety nets and provide clarity around acceptable and unacceptable behaviour – particularly for those who panic at the idea of offering a virtual soap box to every member of staff. Focus on positive behaviours to promote take-up of tools. Some of the case studies in our report, such as Southeastern trains, took a light-touch approach to the personal/work use of social media platforms and found this was beneficial to their business. There is also a wider point about trying to “go with the flow” of the technology, even if this sometimes seems to be fighting the tide set by corporate hierarchies. It may be worth heeding a piece of advice well known to many surfers and swimmers when faced with a rip tide: don’t fight it, as this will use up all your energy. Instead, you are better off letting the tide take you where it will. 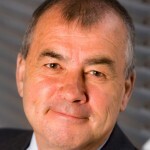 Sir Brendan Barber is chair of Acas. He was general secretary of the TUC from 2003 until 2012.